Live at the Boarding House, San Francisco, June 11, 1972. 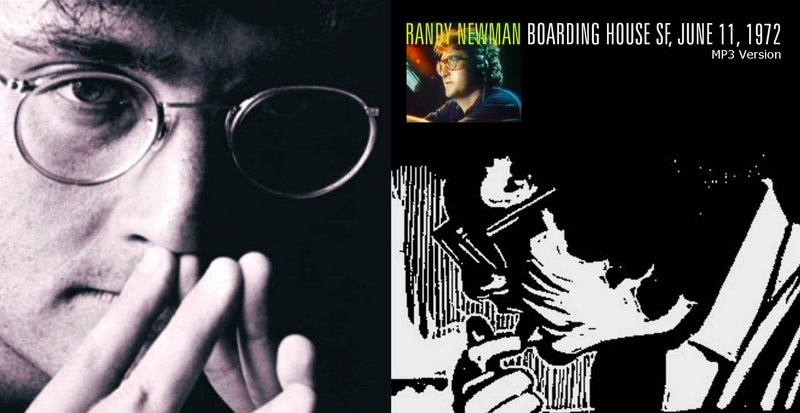 In May 1972, Randy Newman released Sail Away, an album which Rolling Stone magazine in 2003 ranked at 321 among the 500 greatest albums of all time. While already a noted songwriter, Newman was probably best known, at the time, for penning Mama Told Me Not To Come for Three Dog Night. 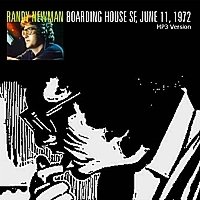 Unsurprisingly, about half the songs performed at the Boarding House in 1972 came from the Sail Away album. Either because of the strong material Newman knew he had or he was hitting a peak, the singer-songwriter is in fine form, the stripped-down sound bringing out his vocals and piano playing, and he is chatty enough to inform and warm up the audience. Newman is also the kind of satirist who snuggles up to you and then smack you in the head! And he paces the songs well - after the hard-hitting Sail Away, he brings you down gently with an old chestnut, the much-covered I Think It's Going To Rain Today. 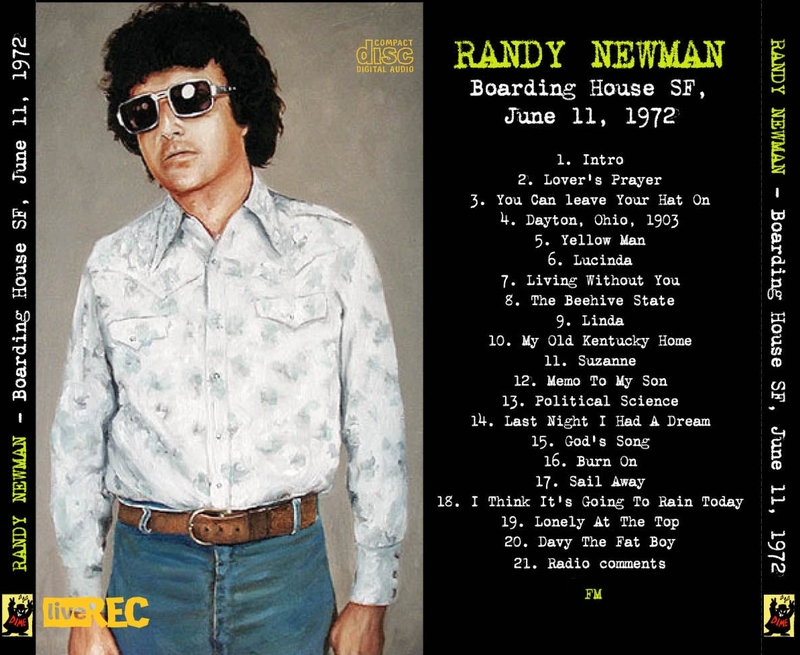 Newman would go on to carve a reputation for himself but to many fans, Sail Away was a turning point. As Robert Christgau wrote in Christgau's Record Guide, "Like most aesthetes, Newman is an ironist. This is fine when he's singing about human relationships, which tend to be problematic, but it's rarely sufficient morally to the big political and religious themes he favors these days. If 12 Songs was Winesburg, Ohio (or even Dubliners) transported to 1970 Los Angeles, Sail Away sometimes has the tone of Tom Lehrer transported to 1972 Haiphong, where he has no more business than Bob Hope. But never before has Newman managed to yoke his orchestral command to his piano, and I hope the leap in listenability will attract some new admirers. Also, the cosmic ironies do fit the title song, in which a slave trader becomes the first advertising man, or perhaps - this is not Tom Lehrer stuff - Melville's confidence-man, for a masterpiece even stranger and more masterful than Newman's other masterpieces." Thanks to fracas64 for sharing the tracks. 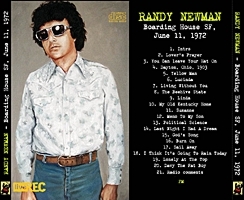 Click on the link to order Randy Newman albums.